Market Report - Ultra International B.V.Ultra International B.V. Welcome to your new bumper market report featuring over 100 essential oils! In addition our 50 page download version is packed full of additional articles including Nutmeg, Tea Tree, Lime, Vanilla, Buddawood and highlights from this years IFEAT Study Tour of the USA!!! Have you tried viewing this report on your smartphone or phablet? Give it a try as we’re fully responsive!! Take us live into your next meeting!! Want to print this report page by page? Then click the PRINT button in the top left corner!! We hope you enjoy this market report and if you’re attending this year’s IFEAT Conference, let’s hope it’s productive and more importantly, enjoyable! Heavy rains caused delays during April and May affecting the start of the season, which has put some additional pressure on both the oil and fresh fruit markets. It was widely expected that Argentinian lemons would be exported earlier to relieve some pressure on fresh fruit supplies in Europe but the 4-5 week delay only helped push local prices in Spain up another 5-10%. According to some Argentinian processors the delays are also expected to have an impact on fruit yields with one producer suggesting as much as 10%. With Argentina producing more oil than all other origins combined it does have the greatest impact with regard to global supply and demand. Just as we saw in 2014 when Argentina had problems and prices rose significantly, now supplies are fully recovered prices have softened but not back to anything like pre-2014 levels. The reason is they don’t need to. The Argentinian producers are aware of the difficulties in other lemon oil producing countries and the fact that prices in these areas are actually increasing means that Argentinian producers are in a stronger position to optimise their profits this year and make up for the previous difficult times. The global net position on lemon production is estimated to be 3% down on last year. The insect known to carry citrus greening disease, also known as Huanglongbing (HLB), has been found in the northeastern Argentine province of Misiones. 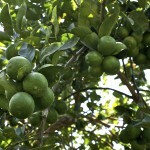 In a release, the country’s National Food Health and Quality Service (Senasa) reported the Asian Citrus Psyllid (ACP), known scientifically as diaphorina citri, had been found in the departments of Iguazú and Eldorado with three cases in commercial farms and four in urban backyards. In response, Senasa undertook a process to eradicate HLB-positive plants as part of its contingency plan, highlighting it would continue its intensive surveillance program. 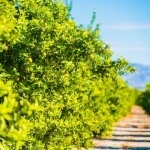 In an interview with FreshFruitPortal, Federcitrus president José Carbonell clarified that there was only one positive HLB case in the latest announcement, pertaining to a backyard plant. He said that while HLB was the citrus industry’s biggest threat, Argentina still had the good fortune of being HLB-free on its commercial farms thanks to the strict approach from government and industry to prevent incursions of the ACP. He added that traps were very important in mitigating citrus greening risk. “We have all our citrus industry with traps, which serve to detect the diaphorina. Luckily since 2013 (when the first case was detected) we’ve had a clear reduction in the vector,” Carbonell said. Regular production is generally meeting the needs of the market with only some short delays occurring should demand patterns change without warning. Production is steadily growing as the product finds its way into new applications, in particular masculine fine fragrances. There are plans afoot to continue to increase capacities and should the market require, further investment is on hand to cater for any sudden extra demand. Supplies remain difficult as production fails to keep up with global demand, which has seen good growth over the past year. There are plans for a plant upgrade, which will increase capacity, but this isn’t expected to come online until late in the third quarter, leaving supplies tight until then. Eucalyptus horistes is a mallee type Eucalyptus that is native to Western Australia. Commonly known as Eucalyptus borealis, it is a sub species of Eucalyptus kochii and mainly found in the northern areas of Western Australia. 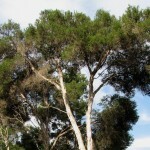 This particular eucalypt is very high is cineol where average levels are consistently near 90%, sometimes as high as 95%. This is almost pure eucalyptol, giving it a very fresh, camphor odour. Due to its high cineol levels, Eucalyptus horistes has great medicinal properties and would represent a good choice in products such as mouthwash and cough suppressant medicines. It would also be a good choice for use in insecticides and insect repellents. This oil continues to be in high demand from the aromatherapy markets as it’s low cineol levels are seen as a ‘safe’ eucalyptus, which is good for topical applications. Harvesting within Australia is limited to a few remote wild harvested areas or salvaged older plantations, both of which create challenges when harvesting. Some plans are in place to change this longer term but it’s unlikely to yield any positive results in the short term. It’s also understood that Australia is the main importer of Radiata from South Africa leaving us with the question – how much of what we buy from Australia is actually Australian? New production of a higher viridiflorol type of oil started in late 2015 and has already found its way into new markets. With capacities much larger than the previous sources in Tasmania, end-users can add this product to their portfolio with much more confidence of a sustainable future. Furthermore, the improved economies through distillation of larger volumes and modern harvesting equipment mean more attractive pricing is becoming available encouraging interest from other areas in particular the fragrance markets. Gone are the days of an annual market of a few hundred kilos; capacities today can be measured in tonnes should they be required. Expect good supplies throughout 2016. New production started in early 2016 and with it a renewed sense of sustainability. Over recent months many aromatherapy companies have been discouraged from using this wonderful oil due to inconsistencies in quality from mainland Australian suppliers, but this new production based on Flinders Island could ensure the product has a much brighter future. Although it is slightly different from previous examples, the prospect of pure oils and a consistent quality over a long-term period is already starting to encourage the market to adopt this newer quality. Harvesting started before the New Year and was completed late March. Stocks are plentiful and are expected to remain so throughout 2016. No real change over the past couple of months. The plantation resource in Western Australia is starting to produce good quantities of oil. Press releases by one of the producers indicate that it will increase production by more than 10 fold in 2016 suggesting an additional 10 MT more of Indian sandalwood oil! With the added introduction of a second supplier during the year there will be a little competitive tension in the market and whilst the quality of the plantation oil is not quite up to the traditional Indian standard, it does appear to be of reasonably good quality. This will give perfumers a real chance to start using the oil again after a period in the ‘cold’ due to the wild harvest Indian sandalwood not being accepted as it had a high percentage of untraceable wood. However, prices do remain high with one producer currently asking US$4,500 per kg. That said there are unconfirmed reports that long-term deals are being done at significantly lower prices to encourage usage whilst keeping the appearance of the market price higher to satisfy investors. Another supplier is now offering oil around US$ 2,500 /kilo which is more realistic in today’s market so we expect to see prices of plantation oil stabilise closer to these levels in the near future. 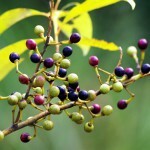 A new oil to market from the Queensland sandalwood species that has traditionally been used for incense and carving. It has a light woody odour with a slight citrus undertone and has a lovely golden colour. It can be produced in reasonable volumes on a sustainable basis and you really do need to sample this oil to appreciate how good it is – production is up to 5,000 kg per annum. New production of oil from plantation wood has started to come online bringing with it a sense of relief from those desperate to find alternative sources. This has been a long-term event and the benefits should be seen long into the future. The extra volumes are modest for the moment so the impact on price isn’t being felt as yet but this will come, as will the additional security of supply many have been waiting for. The changes planned for the local wood distribution supply will not come online in full by October this year as forecast due to a challenge to the sustainability of the wild harvest which is being investigated by the EPA – at this stage there is no clear date for their decision. Oil will still be supplied but at slightly lower volumes from October which could add some pressure to an already strained market. After a record 2015 harvest, 2016 has got off to a stuttering start. Following continuous inclement weather conditions many farms have delayed their harvests until conditions are suitable to get the heavy equipment needed to harvest onto the plantations. One key region, Casino has experienced over 400mm rain in recent weeks. 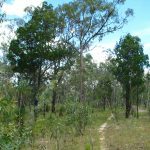 Whilst tea tree is happy for short spells under water earlier heavy rains wiped out sections of some plantations in the Northern NSW regions, which has many estimating the total crop biomass will be down around 30%. This will have an impact on a growing market, which managed to consume last year’s additional volumes. These delays are starting to put some pressure on the market, which is now consuming any residual stocks from last year that remain in the pipeline. Today we estimate there is still 50% of the NSW crop to be harvested. There are also some concerns over the qualities from some of the hard rain hit areas as during key growing periods they where unable to spray with insecticides due to sitting water on their plantations. Overall it looks like this year we won’t have last year’s extra 150 MT which, depending on market demand, could put some pressure on supply and therefore prices later this year. Today the local currency has also appreciated around 7% on the same time last year so those comparing like for like prices in US Dollars need to also consider this. On the ground locally prices vary, but on average are around AUD 43 /kilo Farm Gate (Farm Gate meaning before drums and local delivery). Production of both green and mature fruits have been quite good and with an earlier than usual season, new oil is already available. Demand is expanding substantially for this material for both flavour and fragrance applications and with reduced availability from Italy and Ivory Coast demand remains firm. Interest continues to grow with tangible results now being seen in markets across Europe and Asia. Capacities remain at around 5 MT per annum but thoughts are in place to expand this capacity given current interest and on going development work at the end-user level. The last season was reasonably good for this up and coming lemon producing nation with many now happy to consider Brazilian quality as a straight alternative to Argentinian. Production is continuing to grow along with general demand. Domestic demand for fresh fruits has meant a reduction in this season’s first bloom limes being sent for processing. It is anticipated that the net effect is around a 15% reduction in oil processing, a trend that we may see continue throughout the year. Fresh exports have been significantly lower with prices rising around 20% in recent weeks, which gives us an insight into the local market conditions. A recent lack of rainfall between June and August has lowered the production period placing some additional pressures on the processing markets. It’s not the first setback this year with heavy rains in January and February hitting the production hard. It’s anticipated that the situation will improve during Q4 but is unlikely to have any immediate impact on the oil markets. The juice yield on fruit of 302.2 boxes per metric ton of FCOJ was the worst average ever recorded by the industry. It was 25.7% LOWER than the 240.5 boxes experienced in the 2014/2015 season. The lower juice yield was the result of the above average rainfall caused by the El Niño during peak harvesting season. As a result, not only juice content in the fruits has dropped significantly, but also average brix of fruits processed has fallen from 12°Brix in 2014/2015 to 10.2°Brix in the 2015/16 season. We have to remember that the orange oil market is a by-product of the juice market so when the juice market sneezes, the oil market catches a cold! You have to understand the juice market’s impact on the derivatives market to appreciate how it influences the overall picture and ultimately our oil markets. With the outlook for orange juice market even worse than we expected when we assessed the situation earlier this year it seems the world market is shrinking, Brazil is exporting less and prices are rising. “Lower industrial output orange in Brazil, the world’s largest producer, and the decrease in the harvest of Florida due to disease in the orange groves, led the USDA (United States Department of Agriculture) to reduce the estimate of orange juice production to 1. 6 million tons in the period 2015/16. The new estimate indicates a volume 11% lower than forecast last January, when the US agency estimated world production of 1.8 million tons. The drop in consumption of the drink is leading to the orchards in Brazil and the United States being switched to other cultures or construction projects. Thus, the global product supply drops quickly. In 2011/12, the industries produced 2.2 million tons for the juice market, according to the USDA. The biggest falls in drink production occurred in the leading producer countries: Brazil and the United States. Brazilian production of juice was 1.3 million tons in 2011/12; falling to 1 million in 2014/15 and will be just 885,000 in 2015/16. In the United States, the drop has been even higher. After having put 629,000 tons of juice on the market in 2011/12, US industries have cut production to 438,000 last season and to 383,000 in this. Global consumption also dropped, but is higher than production for the second consecutive year. 1.8 million tons will be consumed in this harvest, down from 2 million tons in 2014/15. The European Union and United States will be the main drivers of this reduction. It is understandable why processors are worried about future supplies. In a normal year around 20% of oranges go into the fresh fruit domestic market. Due to the late blossoming flowers from last year (which produce low yielding fruits unsuitable for processing), it is estimated that this year another 20% will also reach the local market for fresh consumption. Generally the local markets for fresh fruits peak from February to April so many of these off fruits have been recently picked and sold leaving the available fruits for processing from May onwards very low. This at a time when fruit picking is at its lowest. Looking ahead to the 2016/17 season the story doesn’t get any better and with it neither do the prospects of more oil availability and price reductions. A Brazilian crop estimate project (PES) looks at the total number of orange bearing trees, average productivity forecasted per bearing tree and estimated total orange production in the state of São Paulo and Minas Gerais Triangle Citrus Belt for the 2016/17 Season. Currently it is forecasting a sharp reduction of 18.3% in the total 2016/17 crop compared to the one that just closed which will take another 60 million boxes out of the market! So what does this mean for our oil markets? Is there enough oil to supply the growing demand given the reduction in juice production? The answer somewhat contradicts the global juice scenario and the ongoing supply concerns in that so far this year (January to July inclusive) supply of oil exported from Brazil has increased by around 15% on the same period in 2015. Although output was lower in 2015 this year’s YTD exports still mirror those of 2014 when average prices (based on FOB Brazil terms) were 45% lower than they are today!! Average prices today are 25% higher than the same period last year. So are we as oil market consumers paying the price for the major producers decrease in juice sales? That would certainly stack up when we see some of the smaller producers, less dependent on the juice markets still able to provide much better prices, but maybe we are being too cynical. At the end of the day, 3 major Brazilian producers control the market and today, like yesterday and tomorrow, prices will remain firm even if supply doesn’t seem to be causing any issues for now. Whichever way we look at this there is a real problem ahead. Whether it is global juice consumption or the shorter-term fresh fruit supplies we are sure to be paying these high prices for the foreseeable future. Read more about Citrus Greening here! After a quiet 3 months (May – July), shipments from origin have fallen to new lows with year on year figures (January to July) indicating a 35% drop in exports from last year. Whilst a comparable figure compared with 2014 when you look further back in time it represents a 50% reduction from 2013. You need to go back to 2011 for a similar set of export figures at which time prices where peaking at the same level as they are today (FOB Brazil official export numbers). So unlike with orange oil, orange terpenes and d’limonene supplies maybe feeling a little tight at the moment, which is fuelling price speculation at the end-user level as they continue to follow the trends set by orange oil prices. Expect some further tightening in the coming months as end-users / manufacturers look to cover 2017 contracts at a time when supply prospects seem very limited. It’s safe to say that although total figures aren’t yet collected (there are no official figures published) it has been a good season for the Bulgarian lavender producers. Weather conditions have been kind and those newer plantations blossomed well, producing what will no doubt be a record year. It was much anticipated with many producers keen to tease the market in recent months with such promises, for which they have not disappointed, but with it may have damaged their own price expectations with supply looking to exceed demand in the immediate term. With varying qualities still posing a challenge it becomes harder to calculate the average prices but realistically we can say that prices for the 2016 season will be around 30% lower than the previous year. As mentioned, quality is becoming a defining factor with different markets requiring different oil qualities. Somewhat ironically to what we usually see for the aromatherapy clients, they are more inclined to accept the lower quality material than the perfumery markets who prefer the more traditional and established qualities coming from the older plantations. 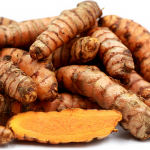 With more ‘new oil’ in the market and a growing demand from the aromatherapy sector we are seeing a shift in focus from the producers and the emergence of two different qualities. One quality is the ‘premium’ grade for the perfumery industry and the other a ‘standard’ quality for the aromatherapy market. The price difference between the two can be as much as 20%. We estimate in 2014 the crop was around 140 MT, in 2015 200 MT and in 2016 approximately 280 MT and it’s possible these numbers can keep growing! This year’s season started a little late and was generally slow due to continuous rains affecting the area. Despite the rain there was not so much yield losses and the season finished with average results (based on recent years) and better than last year’s disappointing crop. 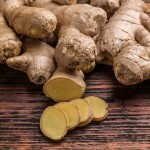 As we entered this season the market was starved of supply and as such most of this year’s crop has already been sold. Prices remained firm, a trend carried over from last year. Perhaps we will need to see a couple of better seasons to have any real impact on pricing. This year’s crop period was very short. A delayed start was concluded with an early finish with around 30% less oil produced than from the same period last year. This continues a downward trend in recent years for cassia as last year’s production was 50 MT less than 2014 at levels of 400 MT. Producers have cited increased costs of around 20%, which they are trying to compensate at the other end with the buyers but in a weak market that is proving difficult to achieve. As such there will come a time in the not too distant future when stocks are depleted and their higher target prices will become more obtainable. Our advice would be to cover now at reasonable prices rather than risk the markets firming at a later date. The Chinese will say the market prefers their quality over their Indonesian counterparts but the price differential in recent months has led customers away and as such production has slowed. The fact there isn’t an over supply is keeping the markets balanced and prices stable. As August/September is the main production time we may see a lack of oil produced to cover the closed season period until February so prices may firm in Q4 on the back of low supplies. A lot will depend on client’s choices between Indonesia and China. Crude oil prices have been stable of late, which has encouraged some processors to produce more volume. However, prices remain firm as farmers seek the best returns for their raw materials. Demand has been fairly weak in recent months but there is some fear that if demand returns strongly there won’t be enough supplies to meet the demand, which may prompt prices to rise again. Total volumes produced last year were 6% down on 2014 and it’s expected that the trend will be similar this year. Today’s prices for September are the highest seen in recent history. There has been little change of late as it continues to be bad news. Depending on whom you speak to there has been either zero production or very little production for over 12 months. This has put an immense pressure on supplies and with it market prices. Today prices are higher than they have ever been with no real positive foreseeable changes on the horizon. The season started in May but it seems production will only be made against firm orders, which will no doubt leave us with no carryover after the short season. Analysts say that based on the real price for garlic in the local market the oil price would have to be over USD 400 /kilo to be viable. The smaller production in 2015 managed to keep prices firm, which is a trend many expect to see continue this coming season, if it ever starts. Competition amongst collectors, coupled with higher labour and production costs, has meant that early calculations of new season oil actually see prices increase! The season will continue over the next couple of months so maybe there is room for things to improve; however, at this stage this scenario seems unlikely. There have been some improvements in supply since late Spring but stocks at origin are now lower as the market awaits fresh material entering around October/November. Prices today are still reasonable but may rise between now and the new crop as supplies reduce. The Chinese season is later than that of the Europeans so the market tends to be satisfied by the time Chinese oil hits the market, especially with increased volumes from the likes of Bulgaria, Croatia and France. This won’t help an already struggling product with some traders still trying to offload 2015 season material at under cost price. How the Chinese market their oil going forward will be interesting but it’s likely that most will be consumed internally with few opportunities in the export markets. August to October sees the height of the season but it isn’t expected to help ease the increasing prices in the market. Heavy rains prior to the start of the season damaged parts of the crop areas, which is likely to badly effect the output for the season. It may be advisable for buyers to step in with any early offers rather that wait for the market to realise the full impact of the poor crop. Further analysis will take place in October once the harvesting is complete. Markets remain stable with demand constant in recent years. Demand tends to increase when Australian prices rise but the weak Australian Dollar has created cheaper export prices in recent times despite local prices increasing. As always, China exports vastly different qualities of Tea Tree Oil and so called ‘Tea Tree Oil’ so buyers should take care when comparing with the industry standards from Australia. 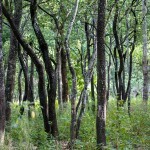 There are a number of examples in the market of oil derived from new plantations some of which are of Croatian origin, others are not. It is quite a turnaround after over a year with little supply to see more offers in the market today but our advice is to be careful on both quality and origin. With the extra material available we have seen prices soften a little but at the very least we have seen the market stable after a difficult period. Supplies are healthy after almost perfect harvest conditions delivered a better than expected crop. 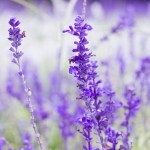 This will be good news for the topical health markets who prefer this oil to other more traditional qualities of France and Bulgaria due to its natural composition, Croatian lavender acts as a more powerful antiseptic to other lavenders making this ideal for household first aid kits and other medicinal antiseptic creams. New crop started a little late in August and although early days all production is being purchased by local traders looking to keep supply tight and markets firm. There is some evidence of better quality material coming through but again this will come at a premium. Expect a reasonable season but strong demand will keep prices rising. Production ended early May after an early start, which was due to high demand at that time. Since then markets have weakened and some stocks still remain. As a result, prices are today a little lower that earlier in the year. However any increase in market demand will quickly see stocks depleted and with it prices starting to rise. Production started mid-April and finished late May but as usual most production is made to order. Prices have softened but remain higher than prices from other origins, where we are still finding some carry over stocks from last year, which may affect demand this season for the Egyptian oil. The crop started in May and closed early falling well short of usual expectations. Also demand for seed stocks has been unusually high and with it prices have started to increase quiet sharply. It is almost certain that there will not be enough seeds to keep all markets satisfied until the next crop in April 2017 so expect supply and price pressures to remain in place for some time. After a period of general price stability prices at farm level have started to rise in recent weeks. There doesn’t seem to be any real reason behind this but it has sparked more activity from the market, increasing demand in the short term. This has started to increase export prices, which was the intention of the farmers but it is difficult to suggest whether this will continue. It appears there are reasonable stocks at origin so much will depend on how the market continues to react to this increasing price trend. If other buyers jump in, we could see prices continue to rise based on this speculation. If the markets go quiet again prices are likely to soften to prices back towards $60 /kilo. Still, even at today’s slightly higher levels, most would agree that it is not a bad price. The new season started late June and continues at a steady pace. It seems that production will be similar to that of last year with qualities perhaps a little better, which should keep the markets satisfied. As such, today’s supply and demand is well balanced with market prices stable. Eventually France has had a good season and expectations have been met after this year’s harvest. It seems they produced around 8 MT more than last year’s 16 MT, most of which was pre-sold with very little remaining. As a result of the pre-harvest sales average prices fell back towards the historical normal levels for this material. What the French producers will do next year is a little unknown but for now they have managed to keep the market a little more satisfied. 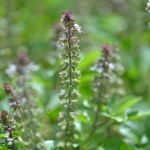 French clary sage is different to the Russian and Chinese qualities so unfortunately it does not help fill the overall global void still present in this area. The markets are stable with good supplies at origin. This is not expected to change any time soon. Only if other Spanish products could be the same! Reflecting on recent years we can see that there is little future for this variety as year-on-year output declines. Last year’s production was down a further 15% on 2014. This year’s was down 10% again. It seems there are still a number of end users who insist on this variety but in reality they are less likely each year to be buying what they think they are buying with volumes of real abrialis almost non-existent. Today there are little stocks at origin with most producers/farmers realising that there won’t be too many more harvests ahead for this one. The final figures for 2016 production look to show a 20% decrease in the total output volume when compared to last year. 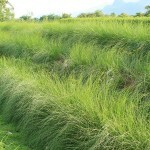 This can be attributed to a lack of rain during spring and a hot early summer, which stifled grown in some areas. That said, 2015 was a good year with production increasing on 2014 by around 5% so it is not expected that this decrease in harvest will have much of an impact in the overall supply. If anything, we may see some firming of prices once most of this season’s crop is allocated, as there might not be enough to satisfy everyone for the next 12 months. There was a continuing trend from this year’s crop showing that this variety is in decline and with it prices are likely to increase. Total production was no more than 30 MT. That said there is some good news, as recent new plantations will hopefully add new oil into the supply chain after the 2017 crops. New material is now available but demand is very high so expect a sell out in the coming weeks. There was some mixed news across the French lavenders with a good ‘Population’ and ‘Diva’ harvest offset with some disappointing results for “Mailette and Matherone’. Overall the farmers are happy and the positive news helped ease pricing by around 15% but with the price gap between Bulgarian and French lavender widening, the French farmers may have to consider reducing further to remain an attractive option. Haiti based producers have for a couple of years been unable to source wood from Dominican Republic after bans were put in place by the local authorities, limiting access to supplies. This has put a strain on the market as overall capacities have been significantly reduced and access to higher quality material is also limited. It is unlikely that in the short terms we will see any relief to this situation and as a result prices are set to remain firm. We are now entering the rainy season (September – December) which generally restricts harvesting and when many processors close down for annual maintenance work. This isn’t welcome news to a market seemingly starved of supplies. It doesn’t appear that volumes from Haiti have fallen; more that the market has increased putting pressure on a fragile supply chain. Until the start of the rainy season material was still coming through but as soon as it hits the market there is a battle by many to secure the oil. Expect supplies in Q4 to become tighter until the new season opens in the New Year. The new season has concluded with less production than in 2015 due to the declining prices and demand for anethole. Today prices are stable but stocks are low so it could be that during the year we see some price increases. Last year we saw a 30% reduction on the previous year’s output, most of which was planned due to the declining market demand. As a result, there was less carry over into this year’s crop than you’d usually expect, estimated to be around 5,000 MT. Unfortunately, this year’s crop has been poor and this time it wasn’t planned with some suggesting output to be no more than 30,000 MT. Prices are low which has disappointed farmers in recent years but it’s hard to see how this one can recover considering the alternatives available in the market. Markets remain weak. This year’s season started late and ended soon after with some highly disappointing results, which immediately resulted in escalating prices. Furthermore davanone contents where very low in comparison to usual standards. The next crop isn’t until February 2017 so this one isn’t going to get any better soon. After a period of stability a few months ago supplies have again reached a crisis point with very little availability at the moment. Average production has been down for some time now but when it slows further or market demand picks up it quickly translates to higher prices as the whole supply chain is very weak. Hopefully some fresh production in the coming months can relieve some of the current problems but not many are optimistic. Major projects continue to progress with a view to standardising the local fresh fruit market and increasing the capacity to receive more limes for processing. This will take time but it’s likely to offer us more options for some small increased capacity during 2016. Indian lime is a particularly good quality, similar to that of Mexican Key Lime but given current costs can be slightly more expensive. That said, it is always good to invest in new origins and this one is no different. Better economies will come so it would be good to have this quality already approved and purchased. A lower output this season due to heavy rains has seen local oil stocks reduce, which has helped move prices back to a more attractive level for farmers to cultivate next year. Prices had fallen until the start of the year on the back of weak demand and over supply. Short term expect some difficulties. Next harvest early 2017. Today the pepper market is stable with supplies at origin well equipped to support the market well into the new season, which will start in January. 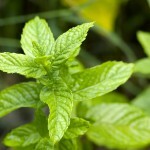 Of all the Indian mints, Mentha piperita holds the most optimism amongst the farmers. After a low yielding 2015 there was little carry over (approximately 40 MT) heading into this season. The additional plantings from late last year have help farmers produce around 350 MT this year with the market set to take a good slice of this volume. As expected from earlier reports, once again production is lower as farmers are discouraged from investing in this product due to weak market demand. There was an anticipated 50 MT carry over from the 2015 season, which will be added to the 225 MT produced this year. Indian oil is 10-15% cheaper than Chinese but although competitive we can expect markets to remain flat for the foreseeable future. Supplies have remained fairly stable during what has been a very wet rainy season. 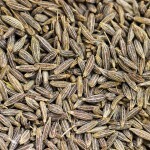 Clove needs the rain but there is a limit to how much you want when trying to harvest and then dry before distillation. That said, overall the picture remains a stable one with no major changes expected in the near future. The effects of additional rains since June are not as big an issue for patchouli as they are for many other locally produced products due to the fact that patchouli generally grows on hillside slopes so the waters drain away. Where it does become a problem is when farmers try to dry the leaves outdoors after collection. The rains can slow down the drying process and in such times we also start to see a negative impact on quality. That said we have enjoyed a period of stability for this product and following the main producing season supplies are good which will be needed to fill the pipeline in the coming months with demand forecast to be a little stronger than in recent times due to the attractive and stable prices. With supply and demand overall well balanced for now the only impact on export pricing over the coming months is likely to be due to any additional appreciation of the Indonesian Rupiah. Whilst this is the over riding story for Sulawesi material, supplies from Sumatra and Java are very low. We had hoped that things would improve last month but the rains have put a stop to this and it may be some time before supplies begin to improve. There could be a little light at the end of what’s been a very long tunnel but at this stage it isn’t enough light to start any celebrations. The conditions locally and globally have been terrible for some time now with supplies only coming in small amounts with questionable qualities at times. As such prices have soared and are likely to continue to remain rm for some time even with the prospect of seeing some fresh supplies from October. The continuing rising prices do appear to have stalled but remain extremely firm, perhaps 30% higher than where they should be. However, even with this renewed optimism expect prices to stay high for the foreseeable future as there is a lot of pipe filling to be done in the market before we get to a balanced supply/demand situation. Whist the 2015/16 season was one to forget for the Italians there is a greater sense of optimism ahead of the 2016/17 season, which should start with the Primofiore type in November. Early estimates suggest there could be a 20-25% increase in total fresh fruit volumes but how much of this the processors see is another variable all together. The reason for the squeeze on lemon oil supplies during this year has been the fact only 80,000 – 90,000 MT found its way into the processing markets, nowhere near past averages, leaving no carry over of stocks into this new season (starting November). Even with an increase in supply it may not mean better prices as the local farmers have become accustomed to higher levels and are reluctant to give up this position. Processors will be looking to challenge local farmers on these prices as they are certainly causing their oil and juice markets to suffer. To put it into perspective, Spanish lemons are twice the price of Argentinian lemons and Italian lemons are 3 times that of Argentina’s! Italian fruits hold a premium in the export market as well as there being a high demand domestically. Such is the demand for lemon in Italy or on lemon from Italy, Italy’s net imports have increased significantly in recent years. Last year’s Italian fresh lemon production was down 2% on the previous year, with imports from Spain (55%) and Argentina (21%) increasing to support the demand. No significant change to that last reported, namely prices remain firm amidst a shortage of supply and a strong demand. No producer has been able to assess the markets or make any commitments since returning from the summer vacation. In summary the 2015 crop was 15% LESS THAN THAT OF 2014, continuing the decrease we’ve seen in recent years. This is due to farmers turning their attention to other trees, as the cost of mandarin harvesting and cultivating is too high. Of the 17,000 MT crop estimate, around 10,000 MT will go for processing. 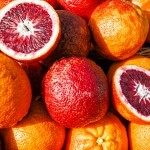 Following a good season and low demand from the fresh fruit market there is good availability of fruits for processing. The only downside is the intensity of colour for blood orange juice, which is not as good as in the past due to warmer temperatures in January and February. Usually colder nights during the winter months help pigment the oranges to give that intense colour. Generally prices are stable. However, there is a premium charge for good quality material due to increased global demand. We’re at that time of the year where we’re watching the weather forecasts to see which Pacific or Gulf of Mexico hurricane will hit Mexico next. Already tropical storm Earl hit Mexico earlier in August, followed by another storm affecting the major lime-growing region of Veracruz. As we write, Hurricane Newton was making landfall. That said, this is an annual challenge so unless the main growing area take a direct hit the only issue to note is that at this time of the year the lime season slows down to its end around early October. That means fewer limes available in the market for processing which depending on how the earlier season (June/July/August) has performed, allows us to gain some insights into how the market will respond over the coming months. A key factor this year has been a growing demand for fresh fruits resulting in around 90% of Key Limes heading into the fresh markets leaving just 10% for processing. Cold temperatures during winter delayed the blossoming and the following heavy rains stifled growth of the fruits. These issues combined will result in around 2,400 fewer drums of lime oil being produced this year, which is a 30% reduction on recent averages. As a result, prices started to rise in July when the market first heard this analysis leaving us today around 35% higher than this time last year. If you dig further into the market demand, we can see that there are still many major end-users yet to make their 2017 commitments so when they do any remaining volumes are likely to be even higher priced. In summary, we have a delicately balanced supply situation and a trend of rising prices as we start the long off-season period. This is never a good sign. Read more about the annual challenges facing Mexican lime producers here! This one is still precariously balanced even after the recent harvest. Reports from Tunisia suggest many areas of past harvesting are now occupied by the local military following recent terrorism scares and the 2016 season was 3 weeks shorter due to the start of Ramadan. This meant that the season closed 7th June and an assessment in July/August suggests most local stocks are already sold once again leaving the markets short. Supplies continue to increase catering to the markets growing enthusiasm for this special oil. Investment by the main producer in the region has allowed for more efficient harvesting and distillation processes to take place to speed up production and ensure there are reserves of stocks to ensure continuity of supply, something which up until recently couldn’t be said for this oil. The new season started late April and ended soon after with all stocks immediately sold. Overall the flowers were 35% lower than last year with most of the raw material used to produce concrete. The next crop is April 2017. Supplies continue to be short but, against a slow down in sales, prices have weakened in recent months. It is unlikely that supplies will improve in the short term so future pricing will depend on market demand over the next months. Production continues to improve with good stocks now available at origin. This should remain in place for the rest of 2016. There has been an on going situation since early 2015 with the supply of petitgrain oil. Affected by the current El Niño event, supplies have fallen significantly below market demand and as such prices have increased almost month on month for the past year. It is not expected that the situation will improve soon as there is typically no production in August and September. The main crop will start in November depending on the weather conditions. All things considered you can expect this shortage in supply to continue throughout the rest of the year. Whilst it is still too early to forecast the 2016 crop as it only began in September an early survey of the accessible growing areas suggests there is likely to be less areas to harvest. There is an added complication of where this plant grows as it is cultivated in the South and South East of Ukraine, where lasting conflict remains and where accessing the territory and crossing borders continues to be over complicated. 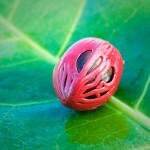 Today there is no material on the market, which in turn is putting some pressure on prices. The 2016 crop is almost complete and despite having a smaller harvesting area of around 30% the yields have been good which has meant that overall supplies will be close to those of 2015. Demand remains very high with the Russian quality still the most reliable and consistent quality available in recent years. It is also said to be the most desirable in the aromatherapy market. With the Chinese again net buyers of the oil and the concrete, prices will need to remain high for the oil to ensure producers focus on supplying the European and American F&F and aromatherapy markets as any decrease in price would shift their focus to only produce concrete and scalerol. The next few months should see some additional material on the market but prices are expected to remain unchanged at today’s levels. Heavy rains around the main harvesting period significantly reduced the amount of oil that could be produced at this time. All pre-contracted material will be satisfied but there is little chance of much carry over so this in turn could put some pressure on the market in the coming months. Today’s advice is to ensure you have cover until July 2017 to avoid any price hikes during the non-season. The season started early and appears to be very healthy. Supplies are plentiful but processors are being vigilant so not to over supply the markets with fresh oil. Seeds can be stored and distilled over the next months so there is no rush to flood the market, which has been relatively quiet in recent months. This is a long way from a couple of years ago when supplies became very difficult after a bad season, local speculation and the Ukraine Russia conflict began. Whilst everything is looking better today on the agricultural side there remains plenty of factors, which could change the dynamics any time, including the political landscape and the local competition dynamics. For now, we can enjoy some more competitive prices and hope this period of stability is sustainable on all fronts. The season ended with a healthy crop with good yields. As a result we expect prices to remain stable as the markets are well balanced. The market is still faced with the same situation as forestry restrictions mean there is a significant reduction in harvesting with processing plants based in Russia reported to be running at less than 50% capacity. Material from other Baltic states is supplementing supply but this quality is slightly different, however, under the circumstances very much approved by most. Prices remain firm and are likely to remain so in the short-term despite the spring/summer season usually bringing about fresh supplies. However, the new season started very late so the benefits are only just being seen and they’re not as significant as we would have liked. There are only a handful of plantations left in this region that continue to be harvested for oil. Year on year we have seen a decline in production with little or no real investment in new plantations for some time. 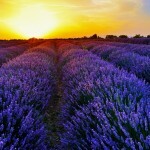 Also, the global landscape of lavender is changing due to investments in other parts of Eastern Europe. That said, the Russian quality is still desired by some and with only a few tons available from this season there may be the case that there is now a premium to be paid for this quality. The harvesting that did take place during July and was successful but limited. 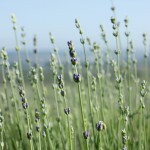 Unlike other lavender oils, expect prices to remain similar to those of last season. If there is a positive way to look at the South African lemon situation it could be to say that it is better than orange, but that will be no consolation for most farmers who are between 20-30% down on their typical volume expectations. The 2016 season began in May but the combination of hailstorms and the previously seen drought conditions have combined to create a hugely disappointing crop. It is estimated that there will be a 30% reduction in the amount of fruits available for processing, which based on the usual 60,000 MT would suggest no more than 42,000 MT of fruits will make it to the factories. Previous estimates suggested that figure would be closer to 20% so the situation appears to be worse than first thought. Late rains have improved the prospects for the 2017 crops as prior to this the USDA had “forecasts that the impact of the drought to all the citrus production areas could be worse off in the 2016/17 MY if winter and summer rains are below average”. It’s still too early to assess how these recent rains will transpire into a more optimistic picture. Read more about the South African Citrus markets in our digital copy of this market report! Different state departments seem to have contrasting views on the performance of this year’s crop than most of the producers we speak to who claim to have seen up to a 50% reduction in yields for the season. However, the CGA (Citrus Growers Association) has recently quantified figures in relation to the last harvest performance and derived that Valencia orange crop was down 12% on what was a record crop in 2015. This difference is likely to be in what we’re comparing with the CGA looking at fruit crops and the producers looking at the juice and oil yields they’re getting from the fruits. Overall there is no doubt that the picture is fairly bleak. It wasn’t all bad news as the Navel crops yielded 2-3% higher returns than on 2015 thanks mainly to the output in the Western Cape area. Following good early rains, the last crop in June was very healthy ensuring that today, there are good supplies at origin. Prices have been stable for some time but with supply now outweighing demand it has become a buyer’s market. Read more about some of South Africa’s other interesting essential oils in our digital copy of this market report! There have been suggestions that in 2016 South Africa will produce more tea tree oil than in previous years and may even ‘quadruple’ production over the next couple of years! New plantations are in place for both conventional and organic material, which will allow the South African producers to standardise their qualities better than before. Although dwarfed by Australia’s dominance there is no doubt South Africa will continue to be a viable option for those end users looking for a different consumer story. This year’s harvest started in July and will conclude in October. This year’s August crop was somewhat better than in 2015 and there are some supplies still available. Prices are always 10% higher than the French but then again, many see the Spanish quality as ‘different’ so one shouldn’t always compare the two products. As with recent trends, it could be that once supplies dry up, which usually occurs later in the year, prices could rise in the New Year. That could prove a factor earlier this year with the French (who are the largest producer) suggesting their total output will be 10% less (down approximately 120 MT). This year’s crop has been poor and we are already in a situation were almost all stocks at origin are sold. Expect prices to firm further in the coming weeks. An overall assessment of the market is proving hard to come by as those farmers with oil are not committing to any prices or suggesting what may have been produced. This is most likely an attempt to add some additional pressures to the market to see what prices are able to be achieved. We would estimate there is around 5 MT amongst some producers. Whatever happens, these 5 MT will not go far enough to satisfy the market so pressure will remain on prices no matter what can be agreed in the short term with the farmers. Ending in August, the 2015/16 was in no way a good one for the Spanish producers with fruit and oil volumes dropping significantly on previous years. Although the figures for 2015/16 were in the end revised up from earlier estimates of a 35% decrease, it still ended with a 25% reduction in total fruit production, which put pressure on European supplies of fresh fruit and with it availability for local processors. Ailimpo advised us that the season closed at 802,680 tons, down over 250,000 tons on the previous year! The lack of availability meant fruit prices rose and with consumer demand growing around Europe processors had to pay a premium to secure fruit stocks, resulting in higher end product prices. Spain accounts for over 80% of EU production of lemon oil so when they suffer, we all suffer. Now as we look towards the new season, which should start this September, the outlook is much more promising with many expecting Spain to bounce back. Of course, much of this optimism is still very dependent on the winter – with last year’s poor season being owed to a lack of a winter! Nice news for the holiday makers but not for the citrus industry! The increase in 2016/17 forecasts is in part due to new and well managed plantations coming on-line. Ailimpo’s early forecast suggests 980,000 tons production, which will be a 22 per cent increase on last year. Whilst this is good news for the fresh lemon market it is too early to understand how this will improve the prospects for processors buying lemons at reasonable prices in order to once again compete with their oil on the international market but at the very least it should help. Based on the figures presented, you can see how the issues during the 2015/16 season put pressure on the market but how these recent forecasts may assist recovery in the coming year. Spain has experienced high temperatures and little rain during the summer, and for that reason the country should have a normal crop but with quite a lot of small-sized fruit, which isn’t always a good sign for the processors. 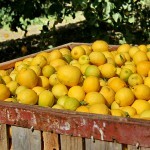 The lower amount of fruit from South Africa has also impacted on demand for the Spanish Valencia type around Europe with data from the Citrus Growers’ Association of Southern Africa showing shipments so far this season being down 2 million boxes year-on-year at 20.8 million (around 10%). Furthermore, there has been a spike in demand from South America for fresh Valencia fruits with an increase in exports expected to start in January 2017. There is no let up in the supply issues that have prevailed for some time now. Small batches are irregularly available and when they are available the price is as much as someone is prepared to pay. The June/July crop was small and quickly sold as the on going challenges for the market continue with this oil. It is unlikely that we will see any external influences that may help this situation so as time passes between now and the next crop in June 2017, prices are likely to continue to firm. We are currently mid-harvest season with the season ending in January. Supplies have remained constant throughout the year as well-managed plantations maintain continuity of supply for this oil. This season looks to be healthy and no major changes are expected in the foreseeable future. Despite new production starting in May the market is still short. There were no real carry over stocks going into the season and demand within the local Sri Lankan markets for raw materials has kept pressure on supply and with it prices. As always during times of short supply we are seeing many more examples of adulterated products in the market so it is advisable you remain vigilant to any possible changes in quality. Try to stick with your trusted suppliers during this time. The season is now over and it’s officially the worse season on record since the 1931/32! The final forecast by the USDA for the grapefruit crop now stands at 10.85 million boxes (2.5 million boxes of white grapefruit and 8.35 million boxes of the red variety) down 15.9 percent from the 2014-2015 season and off 40.9 percent from the 2012-2013 season, when 18.35 million boxes were filled. As there is now no scope for the situation to get better we can only assume that the oil market will continue to tighten in the coming months with no fresh supplies expected until late in the year. There is some irony in the fact that global fresh grapefruit production is thought to be up 300,000 MT given the large increase in cultivated areas in China. However, these are primarily for the growing fresh fruit markets. Hard to believe given the problems in the oil markets but maybe a longer-term opportunity here for the Chinese? We’re now off-season and there are very few fresh offers from origin. This year’s fruit harvest was similar to that of last year. 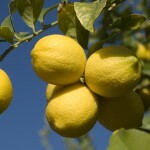 As with many countries, the United States is now importing more lemons than ever before, including recently from Argentina, something many local producers are challenging but with a growing domestic fruit market and a relatively static local production this is a trend that is likely to continue. The latest USDA figures for the 2015 – 2016 season shows the California lemon forecast to be 42.0 million boxes, up 2 percent from last season’s final production. In California the desert harvest is now complete. You need to dig through the statistics to find something positive here as the season ends and the impact of citrus greening takes its toll. “Today’s final citrus crop forecast is yet another reminder of how far our state’s signature crop has fallen,” Florida Agriculture Commissioner Adam Putnam said in a statement. “Production is nearly 70 percent lower than it was 20 years ago, and the long-term future of Florida citrus depends on a breakthrough in the search for a long-term solution to greening.” The State has pledged an $8 million budget to help fight citrus greening and $14.7 million for a citrus health response program within the Department of Agriculture & Consumer Services. To quantify this the total orange harvest is the lowest since 1963/64 season and for the Valencia type the lowest since the big freeze of 1989/90. The net effect of these figures can be felt in the oil markets, compounded by the ongoing global supply issues mainly originating from Brazil. Following the close of the last season prices have started to soften with reasonable volumes now being available. 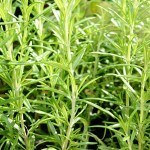 Average qualities have also improved owing to a good crop and better availability.